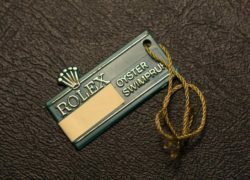 Item description: A Rolex plastic hang tag for a Submariner reference 16800. 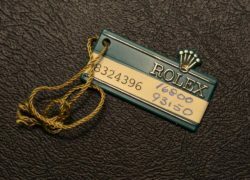 The hang tag with gold finished Rolex crown and name. Complete with original hanging cord. Special notes: Attached to the Rolex watch from new.